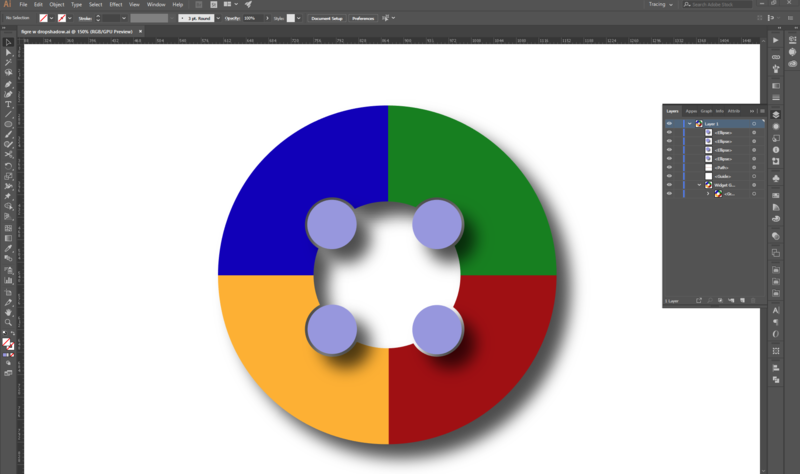 How can I change this image so that the inner circles appear like they are at the highest level? Meaning that the outer and bigger circle doesn't cast a shadow over them? 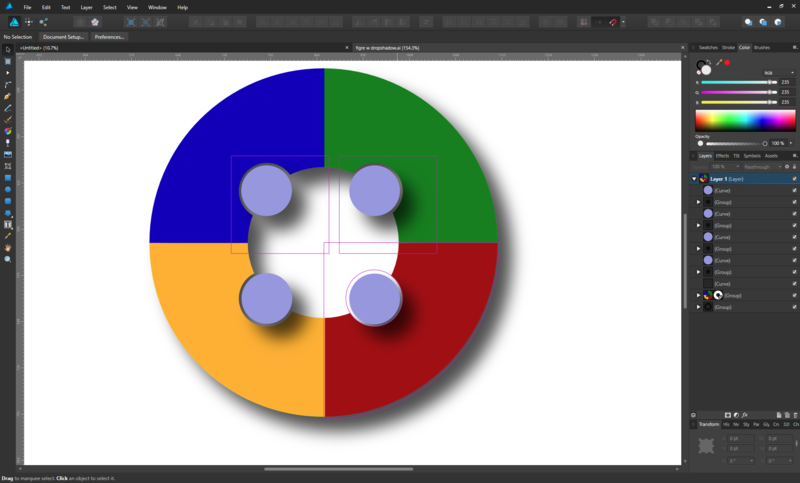 Unclear in your question what app you're using, so I screencapped both Adobe Illustrator and Affinity Designer to show this applies to both for certain, and I'm pretty sure Inkscape and Xara and Sketch as well; It's all down to the draw order - which in Adobe Illustrator and Affinity Designer shows up clearly in the Layers palette. 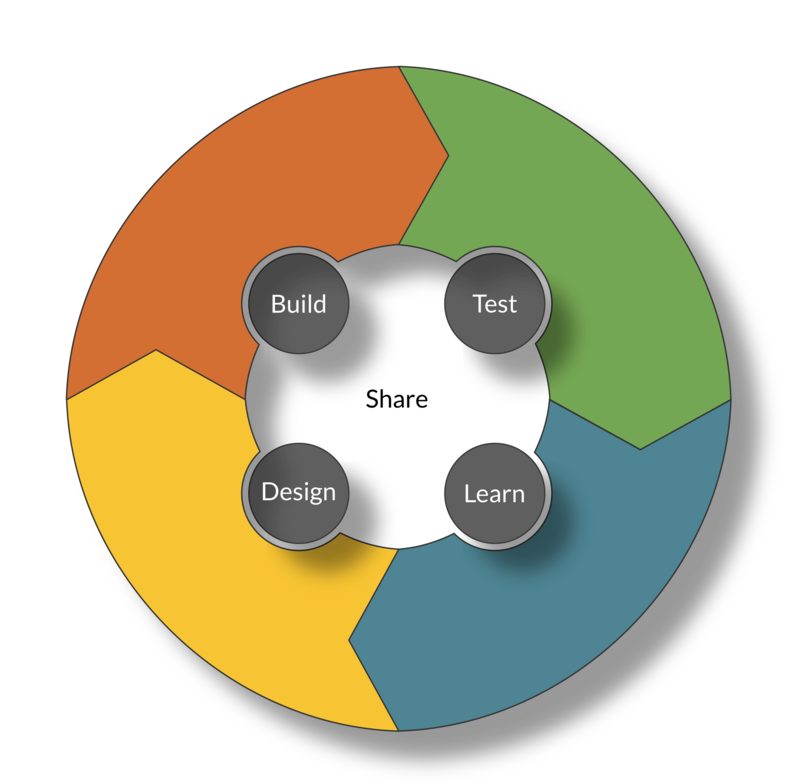 If you select your smaller circles, and right click on them, you should get a context menu which says things like "Arrange> Bring/Move Forward", "Arrange> Bring/Move to Front", "Arrange> Bring/Move Backwards" and "Arrange> Bring/Move to Back" - these commands are how you control draw order on an individual graphic element (or multiple selected elements) outside of using the layers palette - you can also grab things in the Layers palette and drag them into a more correct order. If your little circles are higher in the draw order - hence "above" your other elements, their drop shadows will be cast onto the lower elements as you desire. Not the answer you're looking for? Browse other questions tagged inkscape shadows drop-shadow or ask your own question. 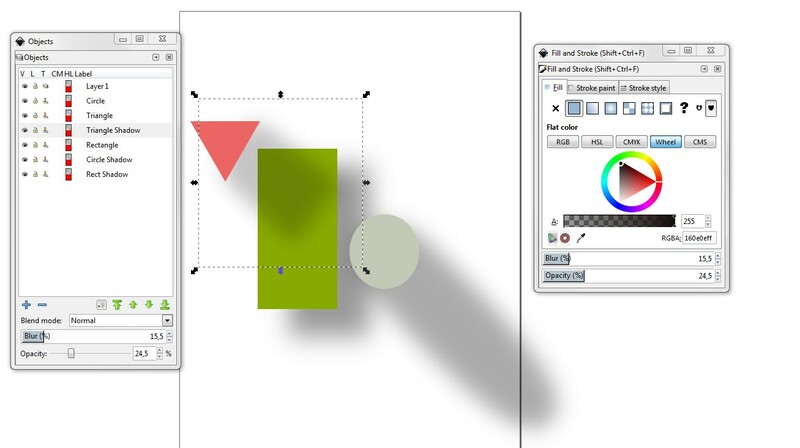 How can I use the drop shadow filter on multiple paths on inkscape?